Consignment shops were popular in the days of the Soviet Union. Now they are also very common and often give their owners a good income. 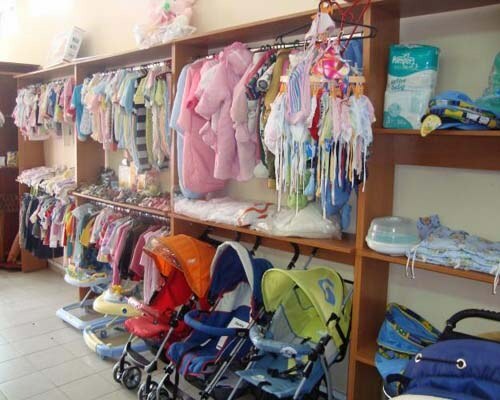 Specialize in consignment shops can on anything: equipment, things, clothes. magazines to receive goods on Commission. In order to open a Commission shop decoration LLC or SP need not enough to open a regular individual entrepreneurship. The advantage of this type of business in a relatively small investment of capital. Will have to invest only in rent and advertising. Product same people will bring themselves. Besides, the money raised from the sale of things for some time remain on hands and can be used in circulation. For successful business you can gradually reduce the price to attract buyers, to record information from the public, as to who is selling and to engage in brokering. To the Commission to take the goods of the bankrupt entrepreneurs. Also in store you can open a workshop on repair of clothes. But before you open a pawnshop, you need to think about his business plan, prepare financial plan for the first year of work to develop forms 1 and 2 W for the reception of goods on Commission. Then make commodity labels, write the user manual for trade etc. After addressing these organizational issues can safely record the birth of his enterprise on the paper according to the current legislation. For this you need to register SPD (business entity) Commission on trade or retail trade in shoes and clothing. Tax better to choose one, but its application is possible when you are going to trade by themselves, without attracting sellers. For legal registration of your business you must also register with the local tax office and various Ukrainian funds. Since the contract with the consignors (people who donate goods for sale) you need to seal, give permission to its production in the MIA. The total amount of the registration fee and Commission store will take several months and cost about 250 hryvnias or 1000. To expedite the registration process, you can contact the law firm, but its services will result in 3,000 hryvnia, or 12,000 rubles.